With Madame Blavatsky's House of Occult well under construction, we thought we'd take you behind the scenes to see what goes in to creating our sets. Normally we have an idea of what theme we want to do long in advance; for House of Occult we knew we wanted to work with the theme before The Doll Master launched in Winter 2016. With Crimson Manor being our oldest set, naturally it made sense to replace it with 'House of Occult'. When we decided on our theme we moved to story development. Derek and I were travelling Spain at the time so we found a dark tavern in Ibiza to brainstorm in. When developing the story we put the players as the protagonist and then create the scenario that decides how they got to the mysterious setting they are about to enter. Creating a story that coincides with the theme can be a tricky obstacle to navigate and can take multiple revisions over a few months to finalize. 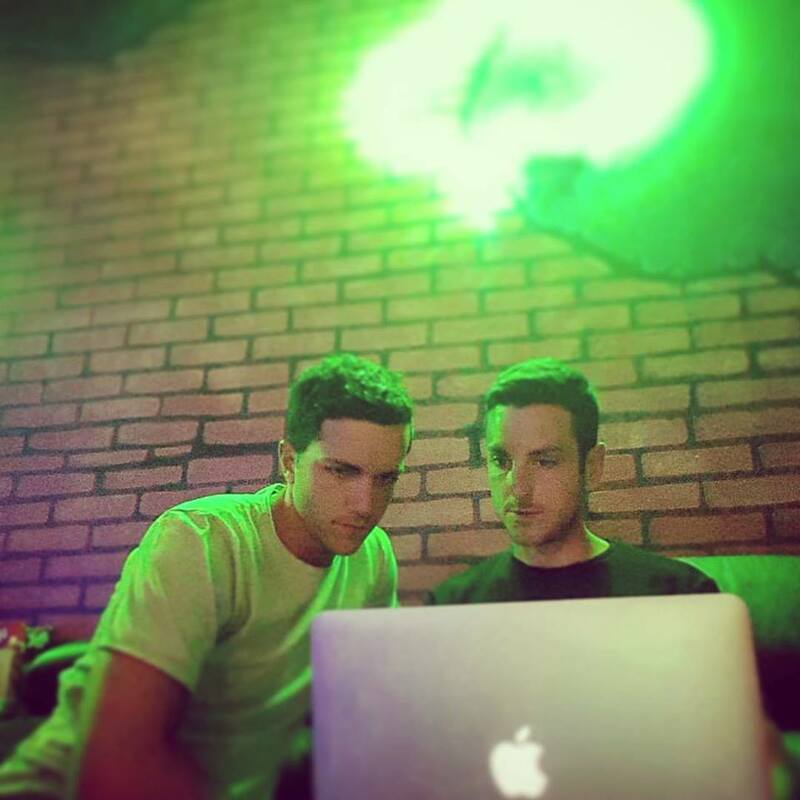 Derek and I working on the storyline for House of Occult in a tavern in Ibiza, Spain. Once the story is solid, we begin to create puzzles and design the set to logically correspond to the progression of the storyline. Usually we like to design a final room that players enter into that adds a twist to the story. From concept, to design and then construction, one prop might take months to come to life. The challenge with our props is that they not only have to match the theme in terms of aesthetics, but they also have to be functional props (drop panels, magnet releases, electrical wiring, sensors, etc.,) and most importantly durable. 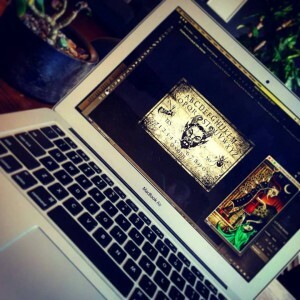 Designing the ouija board prop on photoshop to send to our prop builders. 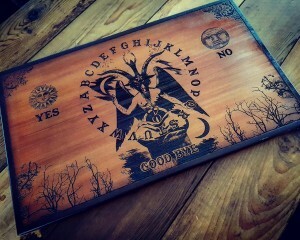 Our ouija board prop all ready to go. Any one of our sets can see thousands of players walking through and handling the props, so with each new set we try to get more creative in designing the durability needed for public hands. As you can imagine, finding prop builders requires a unique resume of skills which can be difficult to find based on the props we are trying to create. Stay tuned for more behind-the-scenes updates every Sunday!